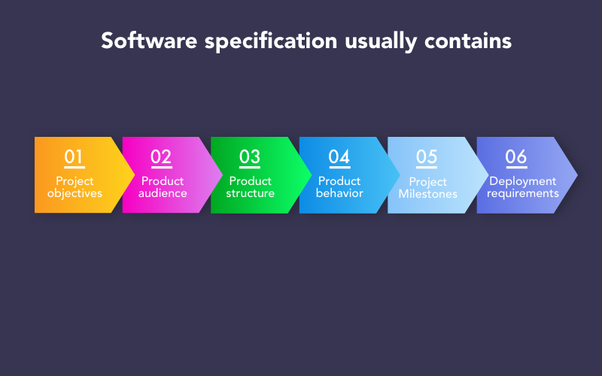 Specification of Software Requirements (SRS) is a detailed description of the purpose and environment of the software under development. SRS fully describes what the software will do and how it will be expected. This project is a prototype for flight management system and is restricted within college areas. It was implemented under the guidance of college professors. This project is useful for flight management teams as well as for passengers. The purpose of the online flight management system is to reduce flight management and to create a convenient and easy-to-use application for passengers, trying to buy airline tickets. The system is based on a relational database with its flight management functions and reservation. We will have a database server that supports hundreds of major cities around the world as well as thousands of flights by various airline companies. Above all, we hope to provide a comfortable user experience with the best available pricing. 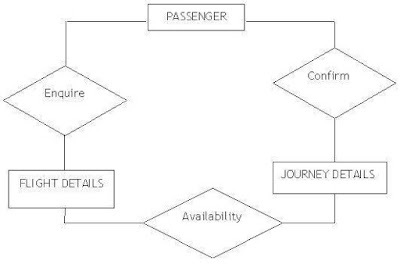 A distributed database system of the airline stores the following information. 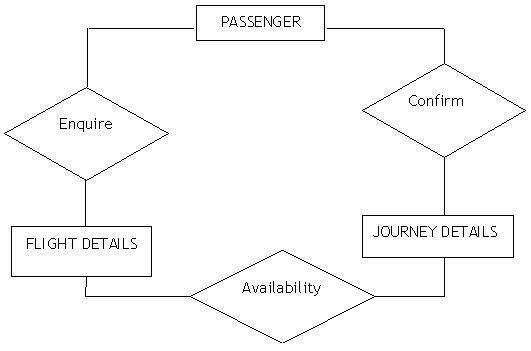 This includes the origin of the flight terminal and destination terminal, including stops between, the number of seats booked / available seats between the two destinations etc. This includes customer code, name, address and phone number. This information may be used for maintaining customer records for any emergency or for any other type of information. This includes customer details, code number, flight number, booking date, travel date. • Get all customers with seats available on a given flight. • Get all the flights for a given airport. • View the flight schedule. • Get all the flights that the arrival and departure times are timely / delayed. • Update fares for flights. • Add a new flight leg opportunity. • Update departure / arrival times for flight leg instance. Each flight has a limited number of available seats. There are a number of flights to leave or come to different cities at different dates and times. The global schema, fragment schema, and allocation scheme. How to generate response for application 1 and 2. Assume they are global queries. Explain how different fragments work together to do this. A request for reservations / cancellations of a flight from any source at any destination, providing connected flights in case of no direct flight between the specified Source-Destination pair exists. Calculating the high fliers (most frequently fliers) and calculating the appropriate rewards points for the fliers. Assuming both transactions are single transactions, we design a distributed geographic database by dispersed in four cities Delhi, Mumbai, Chennai, and Kolkatta as shown in fig. below. The airline reservation system maintains information about flights, seat classes, personal preferences, prices, and bookings. Of course, this project has a high priority because it is very difficult to travel to countries without prior reservations. Displays a detailed list of available flights and make "Reservation" or Book a ticket on a particular flight. The provided database indicates that a single application should work well with data that spreads across different databases and connected through a network of communications as shown below. The term client / server mainly refers to an architectural or logical division of responsibilities, the client is the application (also known as front-end), and the server is the DBMS (also known as back-end). All data is located on server sites. All applications execute on client sites. This project supports all kinds of web browsers. 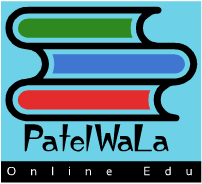 We use simple electronic forms for reservation forms, ticket reservations etc. The steps involved to carry out the implementation of the airline database are as listed below. 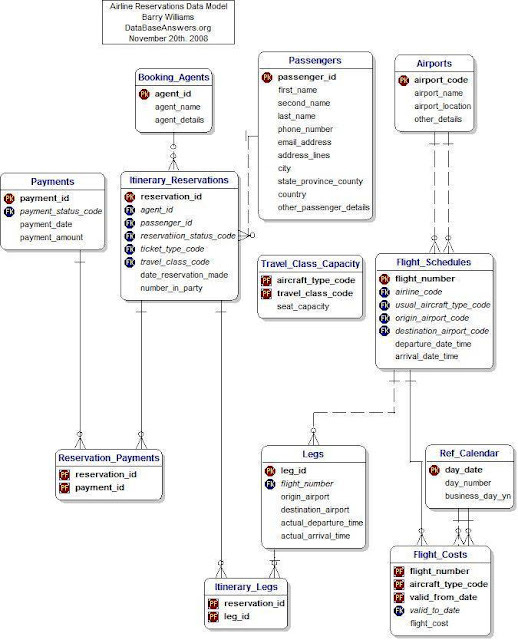 The E-R Diagram generates a technique for representing the logical structure of a database in a pictorial way. After this analysis is used to sort the data as a relation, normalizing the relationship and finally getting a database of relevance. ENTITIES: Which distinguish real-world objects in an application. REQUIREMENTS / REQUIREMENTS: Which define the characteristics of an entity and relationships. RELATIONSHIP: Which entities connect and represent significant dependencies between them. The primary purpose of normalization is to reduce the redundancy which means that information should be stored only once. Information storage several times leads to waste storage space and increase in total data size stored. 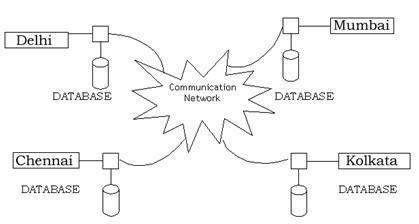 If a database is not properly designed it can increase with anomalous change. Changing anomalies will appear when the data is added to, modified or deleted from a database table. Similarly, in traditional databases as well as improperly designed relational databases, data redundancy can be a problem. These can be removed by normalizing a database. Normalisation is the process of collapse of a table into smaller tables. So that each table is related to a single theme. There are three different types of anomaly changes and consists of the first, second and third normal forms (3NF) being considered sufficient for most practical purposes. It should be considered only after careful analysis and complete understanding of its implications. If there is extensive damage to a large portion of the database due to failure of failure, such as a disk crash, the recovery method returns a previous copy of the database that is backed up to archival storage (usually tape ) and reconstructs a more current state by reapply or reduces the operations of the assigned transactions from backed up logs, to the time of failure. Security systems require database storage like many other applications. However, special security requirements in the market means that vendors should choose their database partner carefully. REQUIREMENTS: The flight must be available at the specified date and specified time many customers are making advance reservations. KATARUNGANG: The flight must reach the start of the right starting terminal and must reach the correct destination. MAINTAINABILITY: Administrators and flight chargers must maintain proper flight schedules. USABILITY: Flight schedules should satisfy a maximum number of customer needs.